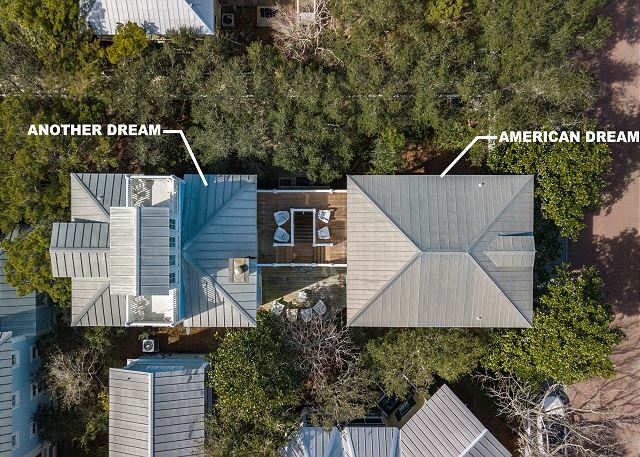 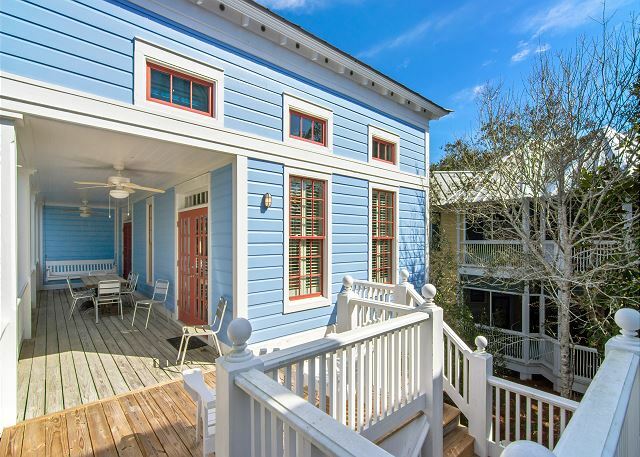 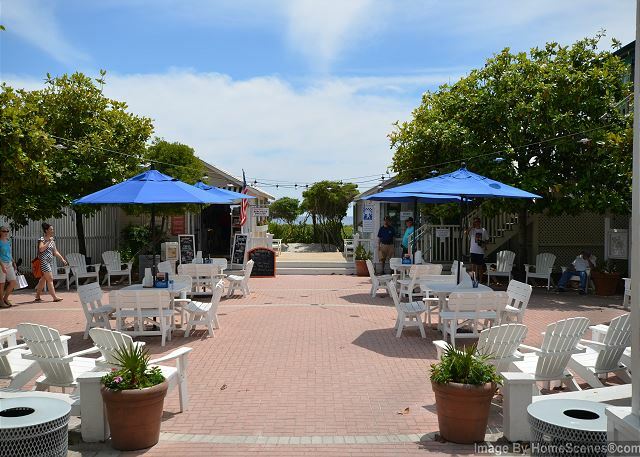 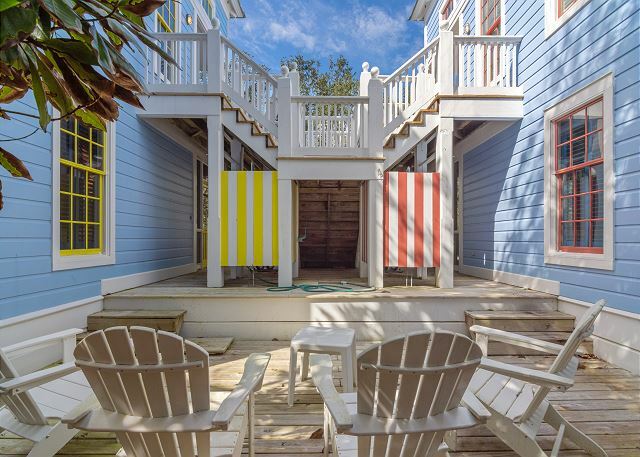 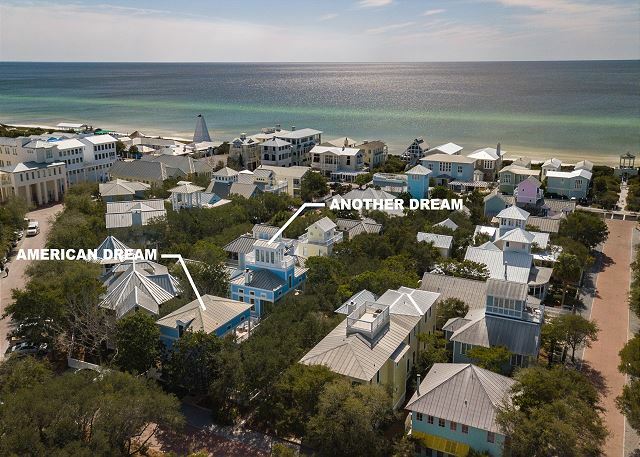 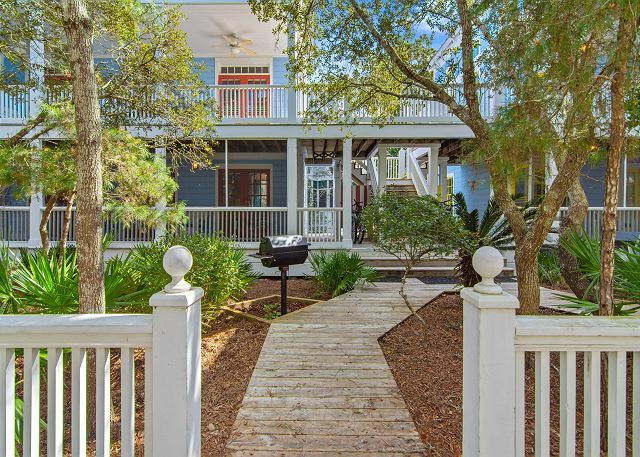 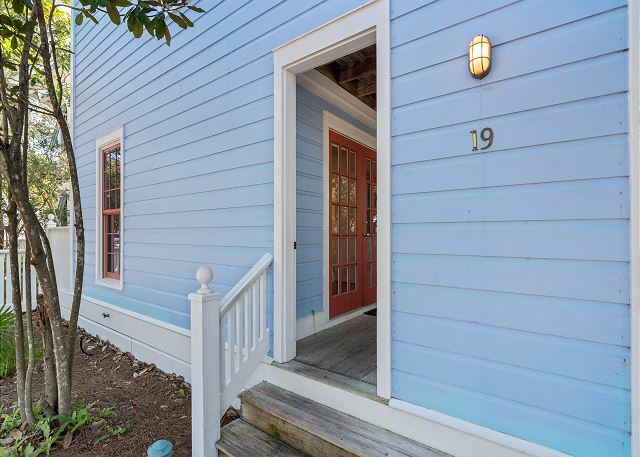 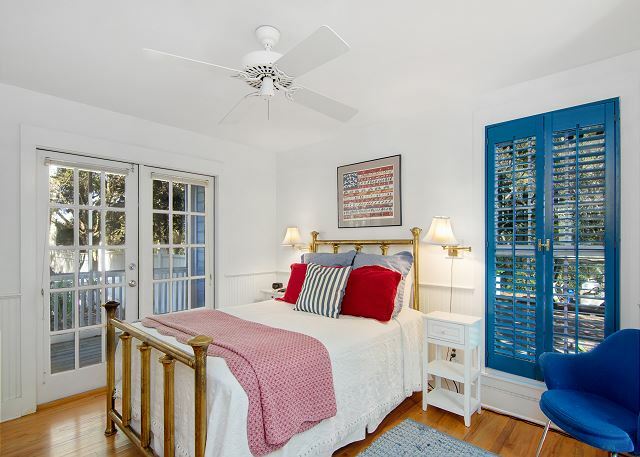 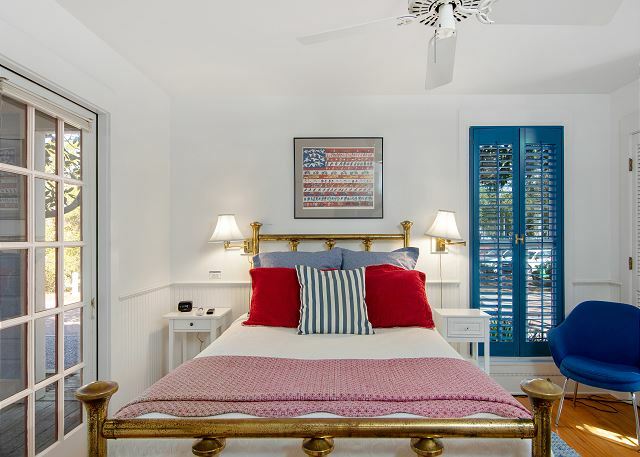 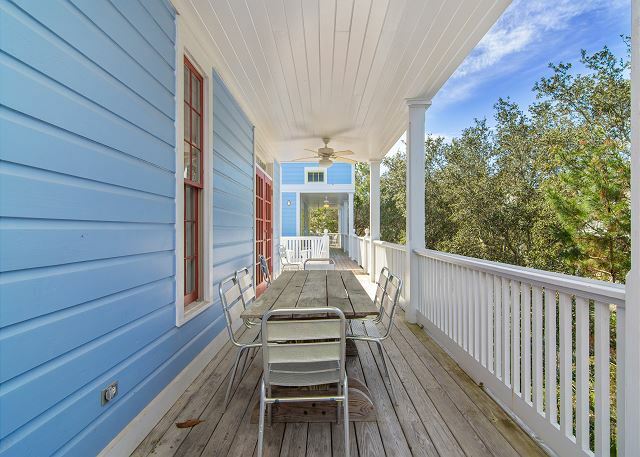 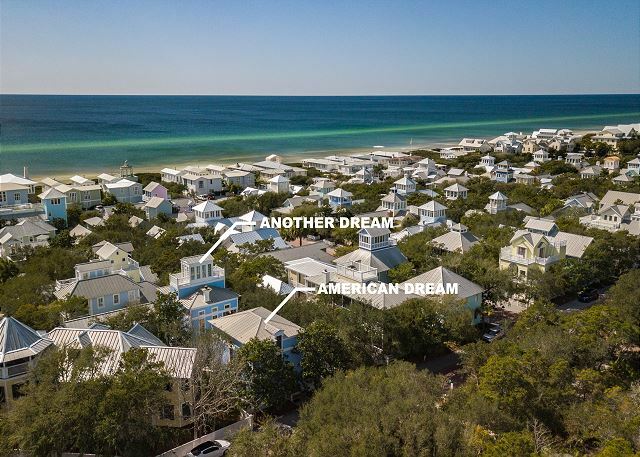 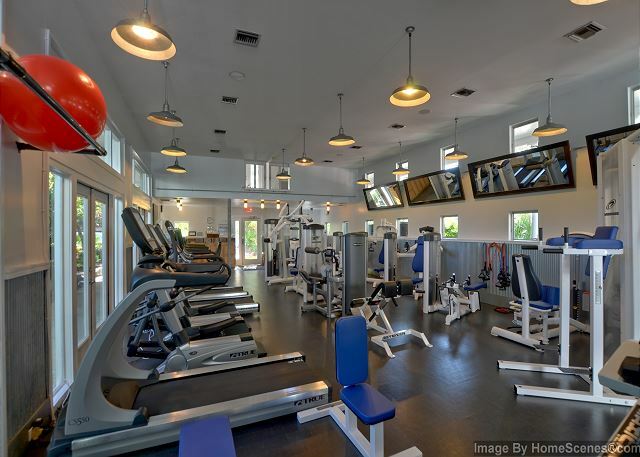 Located in Seaside proper, steps from the beautiful beaches of South Walton and the shops and restaurants of Seaside, American Dream is a spacious slice of Americana. 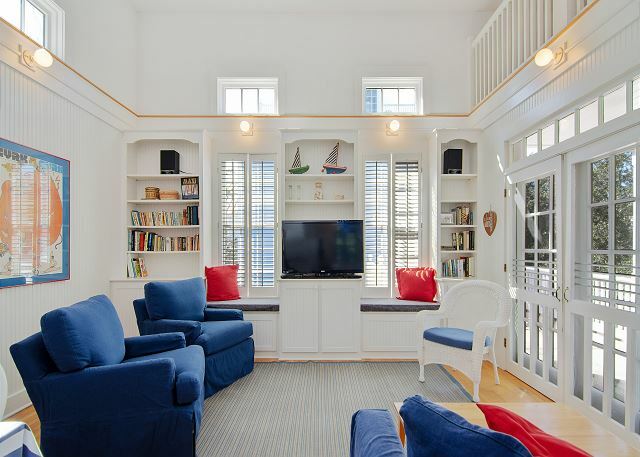 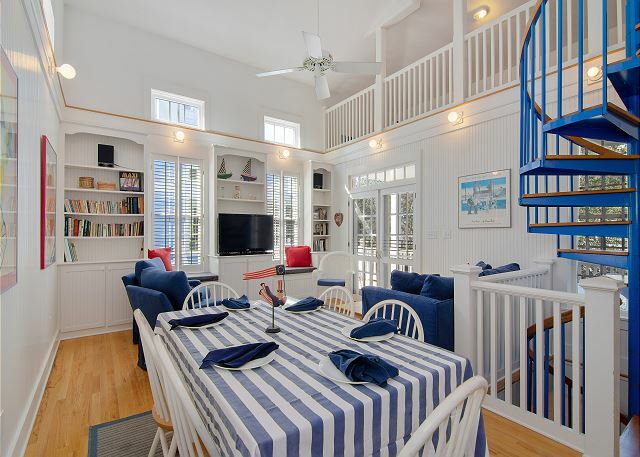 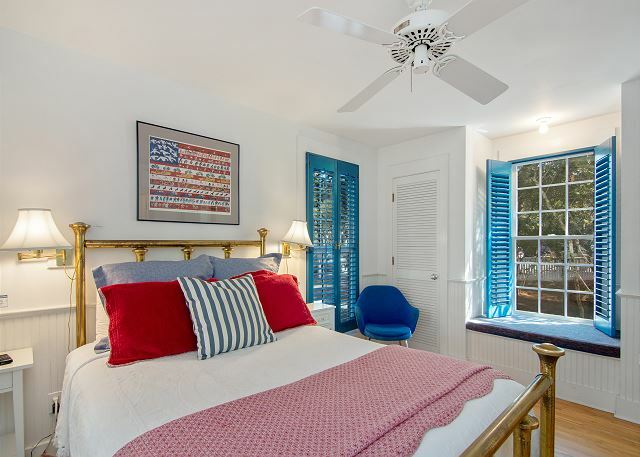 Adorned in red, white, and blue, this patriotic cottage offers architectural details like vaulted ceilings, spiral staircases, and built-in bookcases and benches. 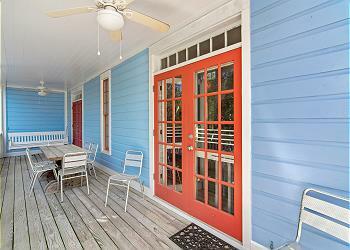 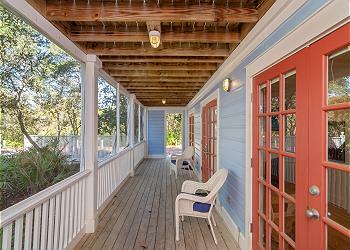 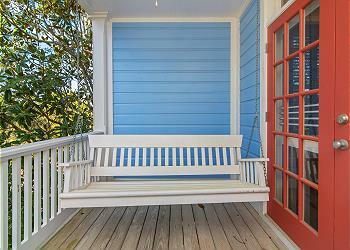 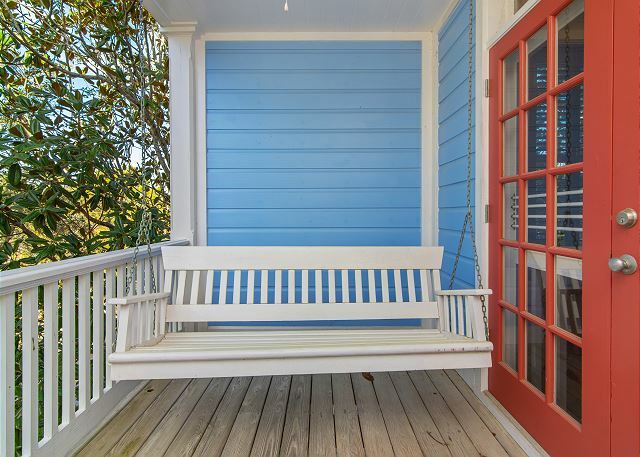 American Dream shares running porches and balconies with it's sister cottage, Another Dream. 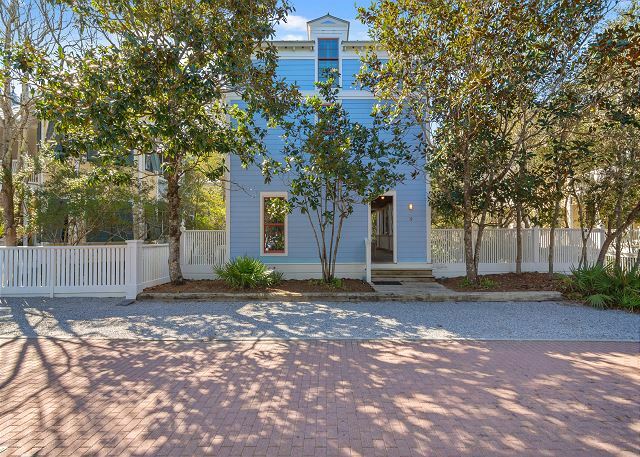 Designed much like a townhome, you'll enjoy your main living and dining spaces on the second floor with beautiful town views. American Dreams' living spaces include a spacious family room with TV/DVD, dining space for 6, and a full kitchen. 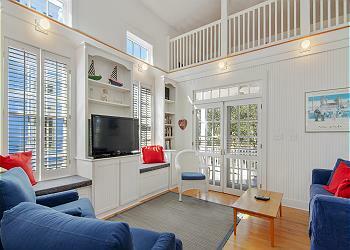 The laundry room and a full bath with shower complete the main living area. 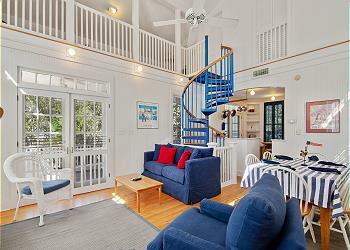 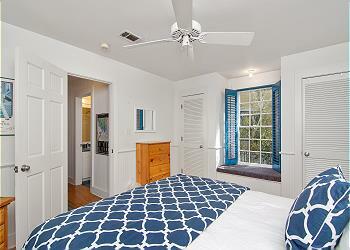 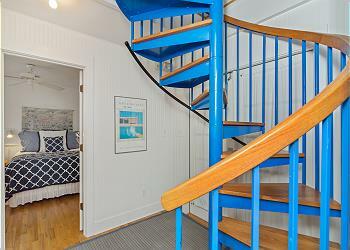 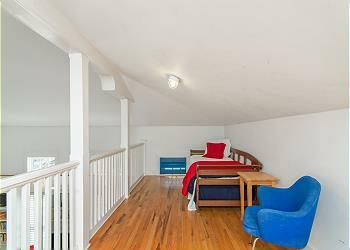 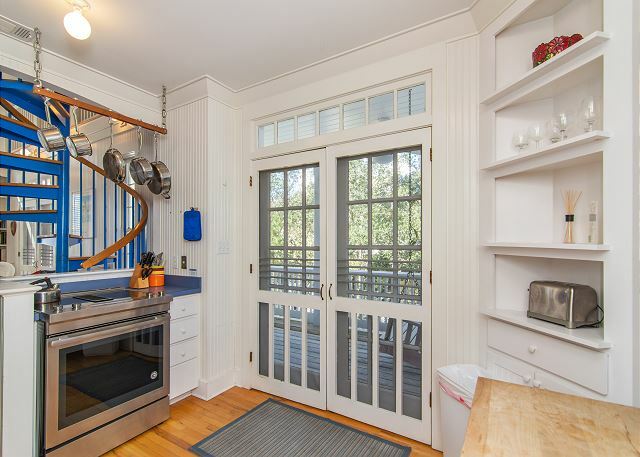 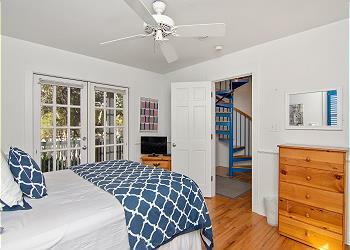 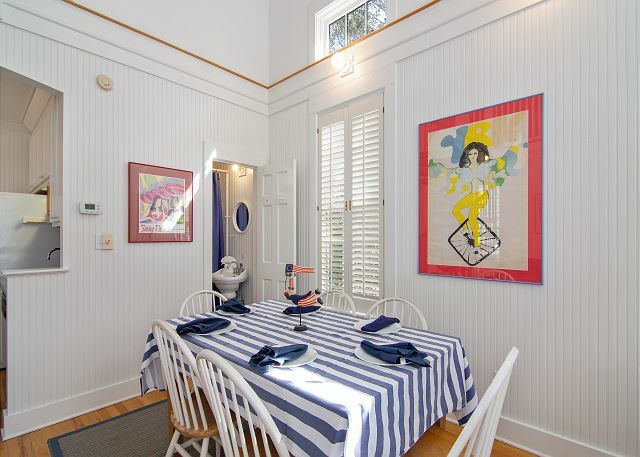 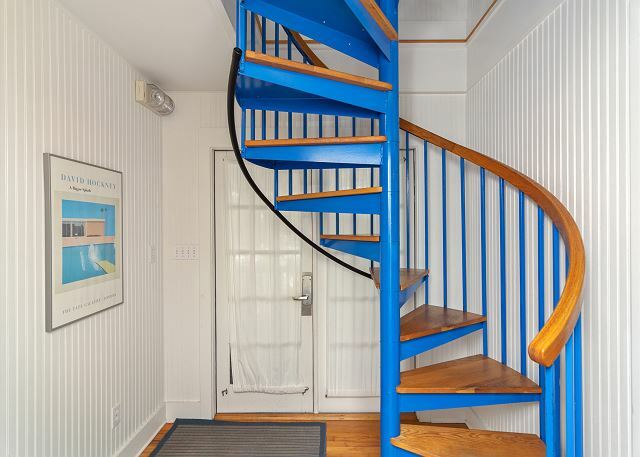 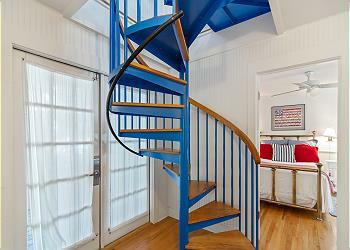 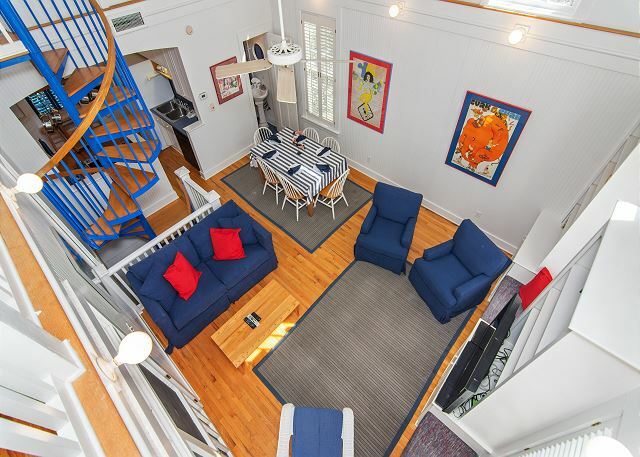 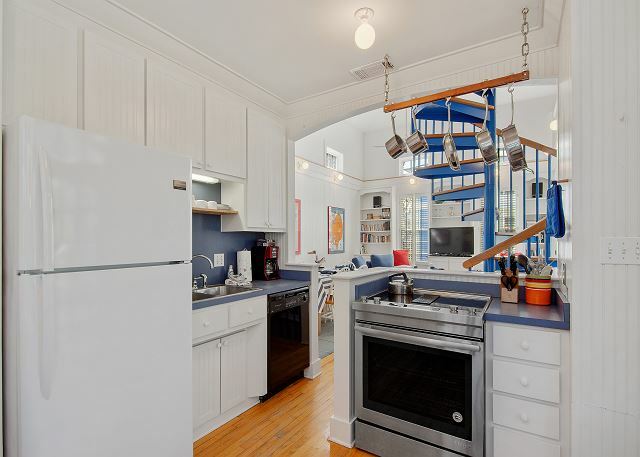 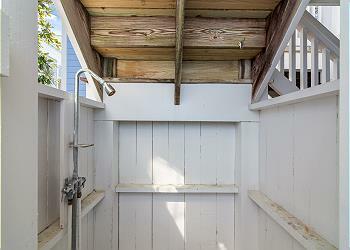 Up the spiral staircase, guests will enjoy the loft space with trundle bed (sleeps 2). 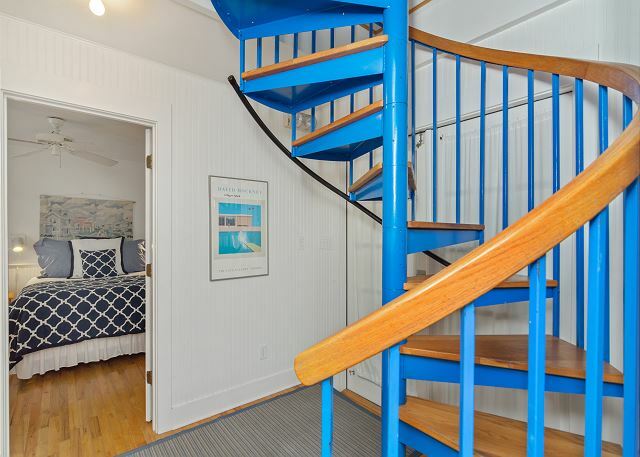 Down the spiral staircase are the two nearly identical main guestrooms. 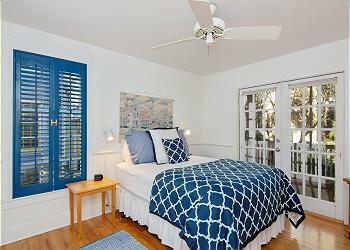 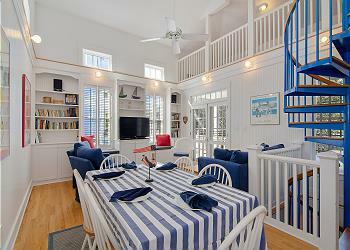 Both offer queen beds, built-in benches, TVs, and french doors that leads out to the main porch. 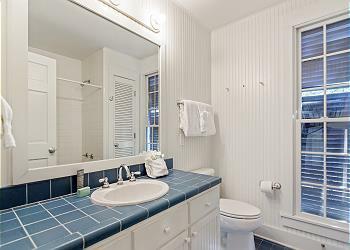 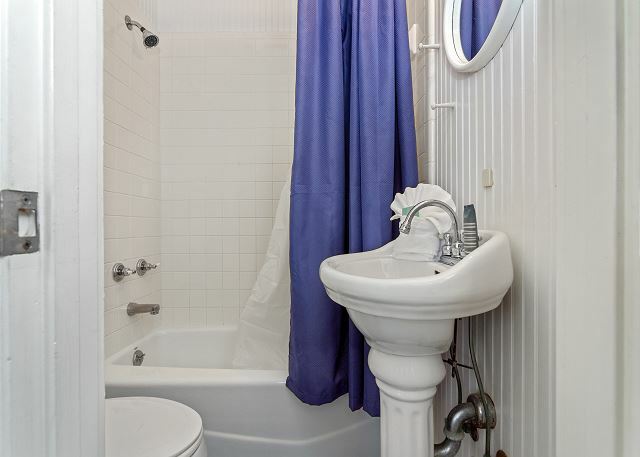 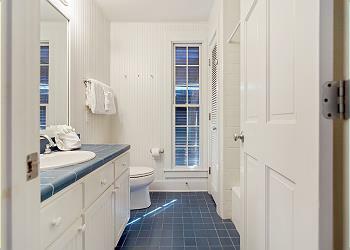 The second guest bath with shower separates these two rooms. 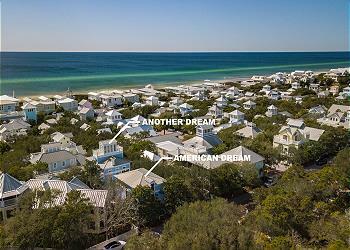 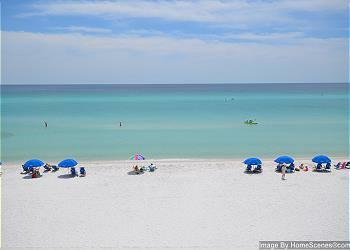 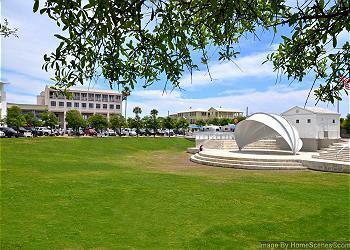 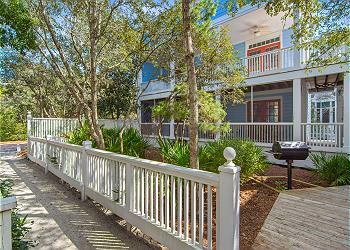 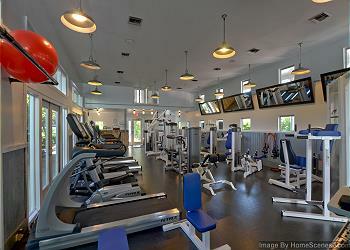 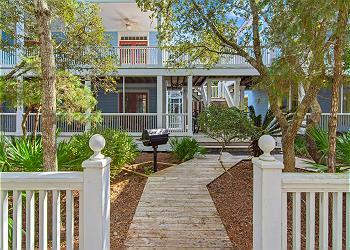 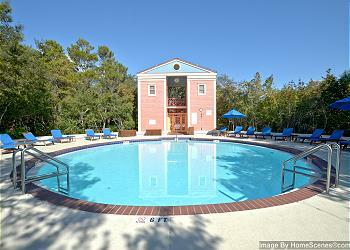 American Dream offers the very best in Seaside living. 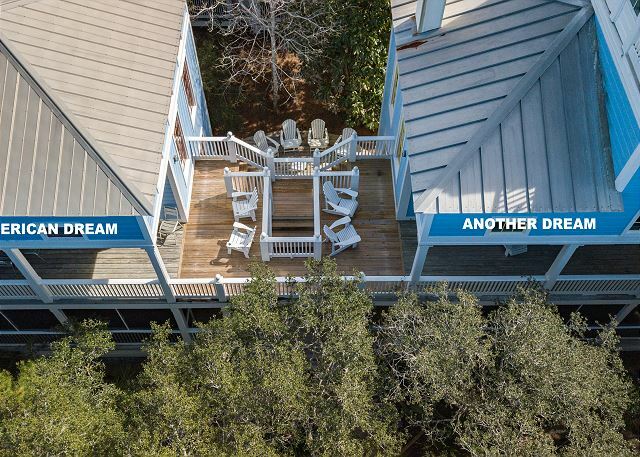 Come for the weekend or stay for the way, American Dream is sure to be a dream come true for you and your family and friends!